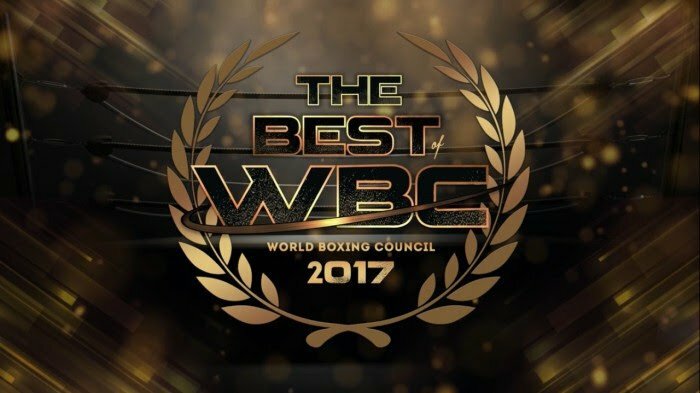 World Boxing Council President Mauricio Sulaiman, said the choices were not easy for discerning fans, due to the sheer quality of impressive knockouts, shining prospects, unexpected returns, and many brilliantly thrilling fights, which crystallized as catalysts for an exceptional 2017. He thanked the passion and precision of thousands upon thousands of fans who voted for their favorites in the categories of champion of the year, fight of the year, knockout of the year, exemplary champion, revelation of the year, prospect of the year, return of the year and revelation of the year. WBC Middleweight champion GGG twice defended, against world-renowned champions Danny Jacobs and Saul “Canelo” Alvarez, establishing his position as the number 1 pound per pound fighter of the world. 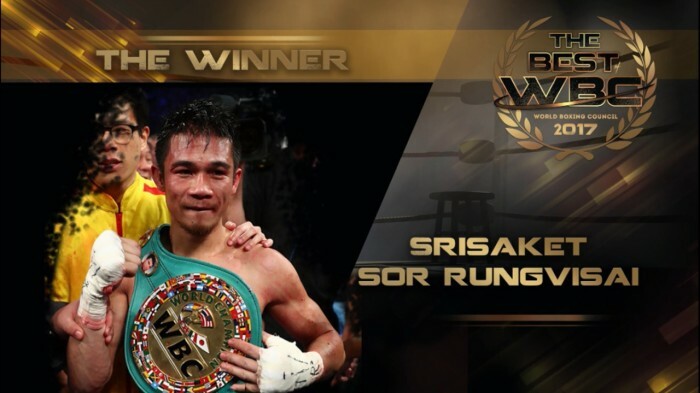 KO OF THE YEAR: SRISAKET SOR RUNGVISAI. WBC superflyweight Srisaket Sor Rungvisai knocked out legendary five division champion Roman “Chocolatito” Gonzalez. PERFORMANCE OF THE YEAR: DEONTAY WILDER. 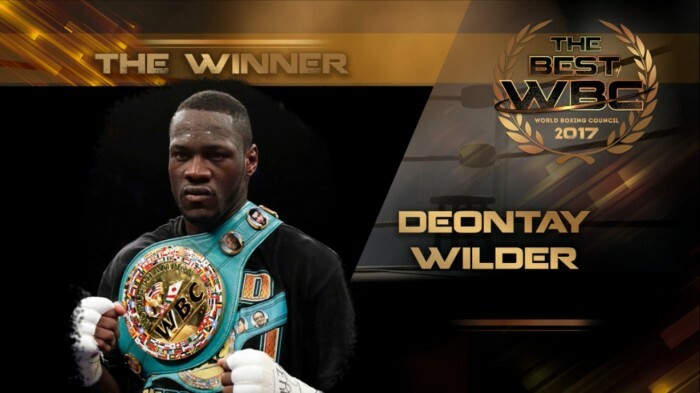 WBC Heavyweight champion Deontay Wilder knocked out former champion and mandatory contender Bermane Stiverne in a dramatic and brief single round. An overwhelming performance that would be admired by Mike Tyson himself! 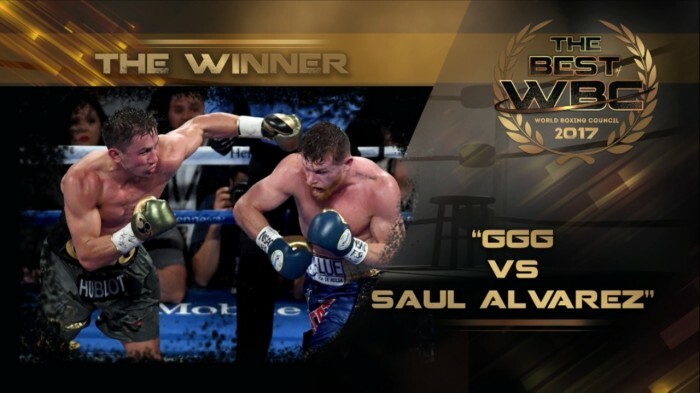 FIGHT OF THE YEAR: GENNADY GOLOVKIN VS. SAUL “CANELO” ALVAREZ. 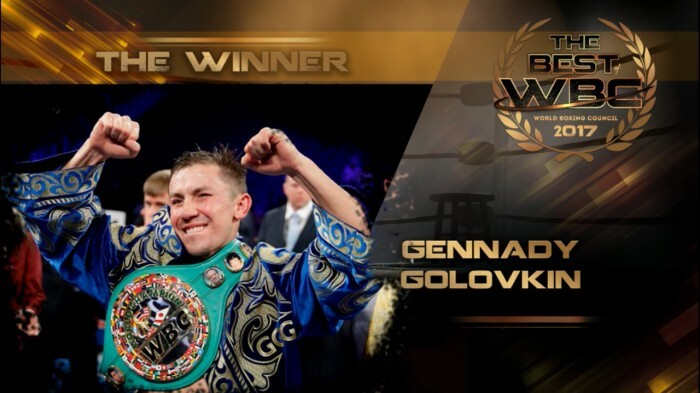 A 12-round dramatic and highly-anticipated super match between WBC champion Gennady Golovkin and former WBC champ Saul “Canelo” Alvarez, which resulted in a draw, with Golovkin retaining his championship and winning the Huichol Belt. COMEBACK OF THE YEAR. MIKEY GARCIA. 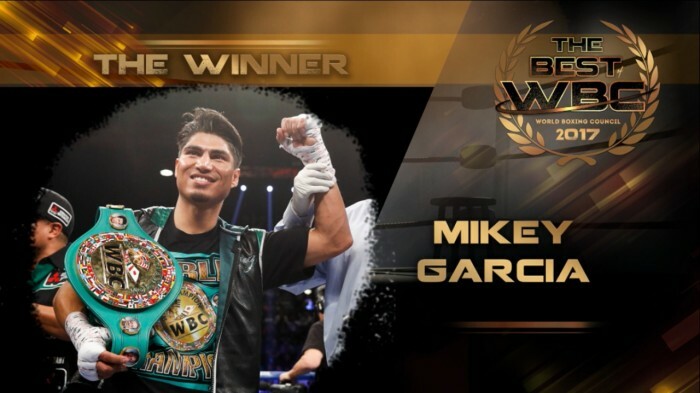 WBC lightweight champion Mikey Garcia returned to the ring after a long absence and categorically won the WBC lightweight championship with a dramatic knockout over Dejan Zlaticanin. Mikey Garcia is back and is ready to create yet more tremendous excitement for boxing fans all around the World. EVENT OF THE YEAR: THE MONEY FIGHT. 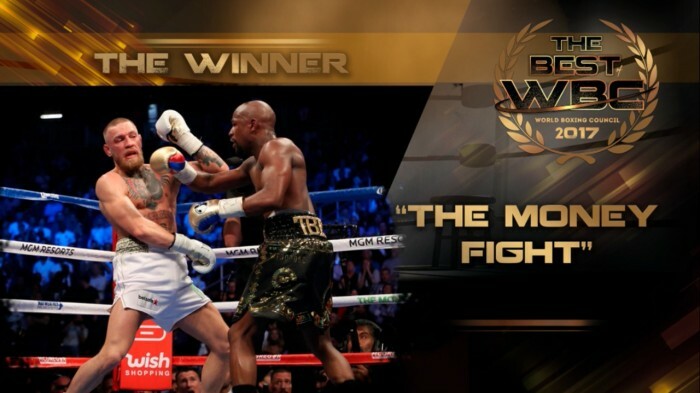 Floyd Mayweather came out of retirement to represent the sport of boxing against a bigger and heavier mixed martial arts superstar Connor McGregor. The fight has gleaned the second biggest pay-per-view sales in history. The excitement in the arena with the hype all over the world, as well as the tremendous entertaining fight made this the Event of the Year. 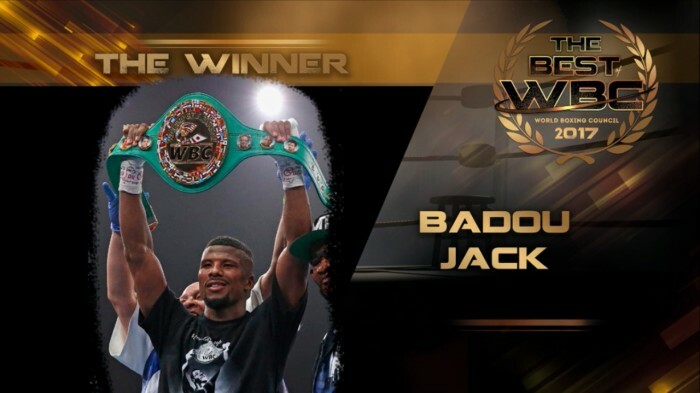 EXEMPLARY CHAMPION OF THE YEAR: BADOU JACK. Former WBC super middleweight champion Badou Jack moved up in weight and conquered another organization’s title. But he remains absolutely loyal to the WBC even proudly showcasing his belt with pride and honor at all times. Badou is an exemplary family man who represents the best of boxing inside and outside the ring. In March, he’ll challenge WBC light heavyweight champion Adonis “Superman” Stevenson. REVELATION OF THE YEAR. MIGUEL BERCHELT. 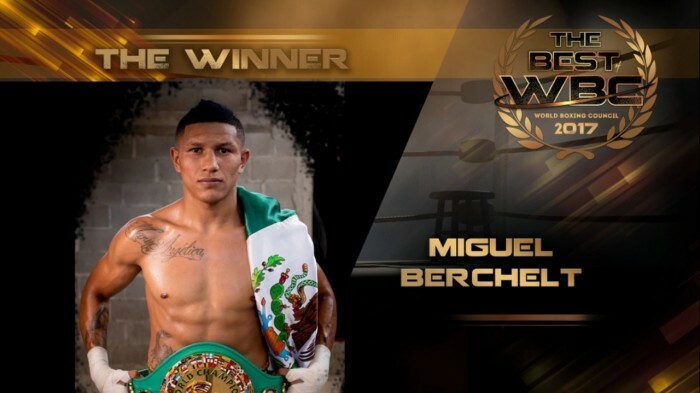 WBC super featherweight champion Miguel “Alacran” Berchelt conquered the green and gold belt in a dramatic fashion by stopping former champion Francisco Vargas, who was badly cut over both eyes. “Alacran” then swiftly made the mandatory title defense against formidable ex champion Takashi Miura and is today a new superstar in the world of boxing. ROOKIE OF THE YEAR: EDUARDO “ROCKY” HERNANDEZ. At only 19 years old “Rocky” Hernandez remains undefeated. 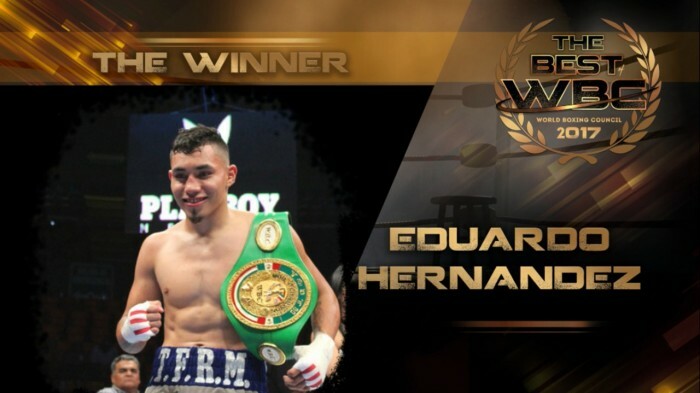 He’s the WBC Youth champion and number 4 rated in the WBC super featherweight division. Hard hitting Rocky is one of the most important and spectacular prospects in the world.